Oral & Maxillofacial Associates of Oklahoma offers TMJ disorders and facial pain treatment in Oklahoma City, Norman, Midwest City, and Edmond, OK. To schedule an appointment call 405-848-7994 (Oklahoma City), 405-292-8900 (Norman), 405-733-4296 (Midwest City), or 405-341-4022 (Edmond). There are two temporomandibular joints (TMJ), one on either side of the head where the lower jaw meets the skull. These joints allow the lower jaw to move and function, and are the most constantly used joints in the body. TMJ, or temporomandibular joint disorder, is not uncommon. When symptoms of TMJ trouble appear, Oral & Maxillofacial Associates of Oklahoma can help. As board-certified specialists in the areas of the mouth, teeth, and jaws, we are in an excellent position to correctly diagnose this complex disorder. 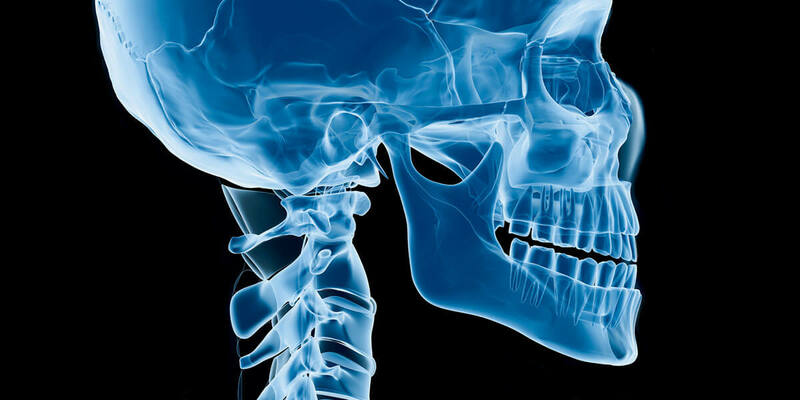 We may order special imaging studies of your jaw joints, and even refer you to other dental or medical specialists, including a physical therapist, as needed. Non-Pharmaceutical Treatments: Appliance therapy uses a custom-made splint known as a bite guard to relax the jaw muscles and relieve pain. You might have an upper or a lower appliance, but you should not wear both simultaneously. You may also need muscle retraining to learn to bite and chew in a more efficient, healthier way. Supplementary Pharmaceutical Treatments: Appliance therapy may be supplemented with short-term pharmaceutical therapy. Medications that may be effective against TMJ include prescription pain relievers, muscle relaxers, tri-cyclic antidepressants, and mild sedatives. Surgical Options: If non-surgical treatment does not relieve the problem, or if there is significant joint damage, we may recommend surgery. Two options are arthroscopy (the method used to inspect and treat larger joints such as the knee), or direct surgical repair of damaged tissue.